Neck and Back Injuries Don’t Only Occur In Accidents. Your Modern ‘Computer-Centered’ Work Environment May Be Hazardous to Your Health. Sitting at an office chair for hours on end forces your body into a position that causes undue stress on your back, neck, and hips. It also results in decreased blood flow through the extremities. Sitting in chairs for hours a day may initially cause discomfort and aches, but ignoring these conditions for too long can result in chronic problems. Chiropractic adjustments are important to keep your bones & joints in the right place. Just as your car needs a regular tune up, so does your body! General soreness or pain along your back after sitting at work for extended periods. Back stiffness, or muscle pain or spasms in lower back. Pain, numbness or a burning sensation that extends from the lower back or hips, and behind, legs, and feet. Shooting pain along your back or hip area, especially when you stand or stretch. Consistent tense, sore muscles around your neck and shoulders as your work day progresses. Muscle strains or spasms along the sides of spine. Overuse from too many hours hunched over a keyboard or with arm extended to use a computer mouse can set off muscle strains. Feeling that your head is heavy due to straightening and loss of the natural curve of the neck and exhaustion of the neck muscles. Chronic neck pain. Repeated overuse of muscles along the back of your neck can cause a chronic pain condition. Persistent aches anywhere from the base of the spine to your neck. Wear & tear on joints in neck (cervical spine); joints along your neck can wear down and eventually degenerate into painful conditions such as osteoarthritis and degenerative disc disease. 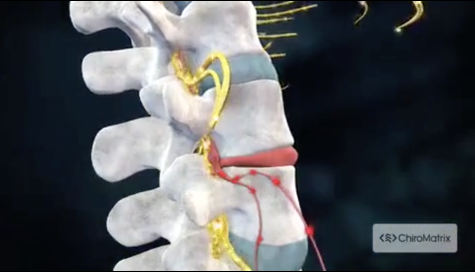 Compressed nerves – Consistent pressure and stress on the back and neck may cause compression and/or subluxation, and reduce the space for nerves that branch out from the spinal cord. Arm pain or weakness or Herniated disks. Ongoing stress may contribute to a painful condition where the “gel” from the disk protrudes beyond the protective casing and presses on nerves. Chiropractic care is an effective treatment for these conditions. Dr. Jennings uses Applied Kinesiology and Holodynamic Kinesiology to guide her to your body’s priority of treatment for adjusting and nutrition. Dr. Jennings uses the Thompson Technique, Diversified, and Activator Technique to correct structural misalignments and restore proper function and comfort in your body.